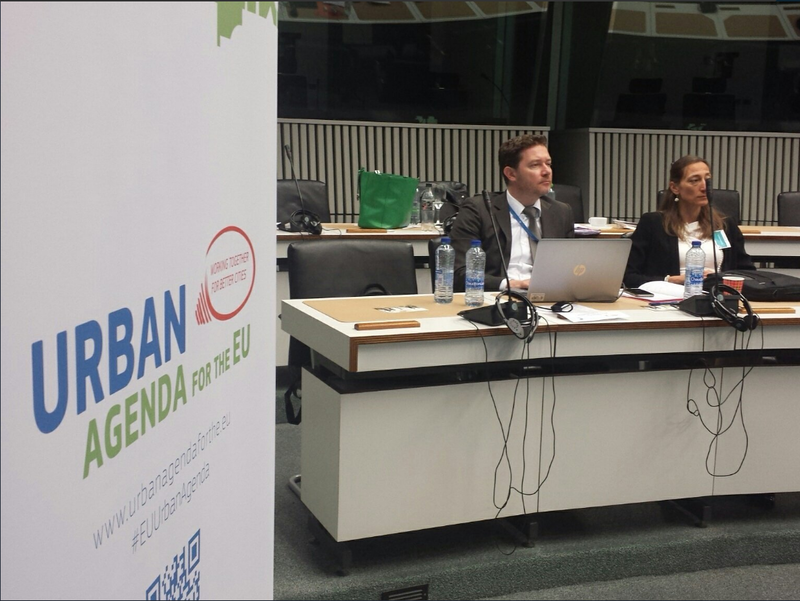 On 23 May 2018, the European Urban Agenda Housing Partnership organised a capacity building workshop on “State Aid and Affordable Housing Investments”, hosted by the Committee of the Regions in Brussels. More than 50 participants from cities, regions, Member States, EU services as well as the legal field and affordable housing scene attended the event. The workshop focused on how current EU regulations impact public investment in affordable housing, particularly on the application of state aid rules and the Services of General Economic Interest (SGEI) Decision 2012/21/EU of the European Commission. With this event, Housing Partnership delivered one of its core actions in the work strand for “Better Regulation” in the EU Urban Agenda. Committee of the Regions (CoR) Member Hicham Imane opened the workshop by reiterating the claim the CoR made in 2017 that the narrow definition of target groups who are able to access to social housing as set out in the SGEI Decision needs to be broadened beyond “most deprived persons or less advantaged groups” This would not only be in line with the principle of subsidiarity but also allow cities and regions in the EU to design their housing policies with the aim to safeguard social mix and social cohesion. Director of DG COMP Henrik Morch introduced the regulatory framework that applies to state aid control and social housing. Mr Morch recognised that there is a lack of understanding of what is possible under state aid rules which is a source of uncertainty. He acknowledged that “probably there were market failures in housing”, but made clear that the current Commission did not plan to revise the SGEI Decision. Academic expert in housing markets, Dr. Orna Rosenfeld highlighted the spatially fragmented nature of the housing market and the difficultly of applying universal policy prescriptions to affordable housing solutions. After the opening speeches, delegates were presented with a range of practical examples from the ground to showcase state aid and affordable housing issues as well as possible solutions at the national and city levels. Helena Henriksson, a lawyer from the Swedish Association of Public Housing Companies showed how public housing companies had been affected by the Organisation of Swedish Property Owners on the ground of EU state aid rules. Although a compromise has been negotiated, the yearly rent regulations have become more difficult. Knut Höller from the Housing Initiative for Eastern Europe argued that the need for large-scale public investment in multi-storey apartments in new member states has led to issues and uncertainty in the application of state aid rules. Laurent Ghekiere from Union Sociale pour L’Habitat France, showed how the legal uncertainty surrounding state aid and affordable housing was still prevailing in France. The “French Case” had been brought before the Commission by Property Owners (UNPI) in 2012 and 2013 on the ground of EU state aid regulations. Until now, no formal decision has been taken. Ronald Paping, from Woonbond Netherlands, provided insight on the Netherland’s experience of excluding wide parts of the population from access to social housing as a result of a Commission decision after the complaint of private institutional investors. Currently, the Dutch social housing case is before the General Court’s and awaiting a decision by the end of 2018, this perpetuating the ongoing uncertainty regarding possible investment in social housing. Barbara Catrysse, a Senior Legal Counsel at EIB and an expert on state aid issues, and Viktor Kreuschitz, a leading judge at the General Court with many years of experience on state aid decisions, shared their expertise and closed the morning session. 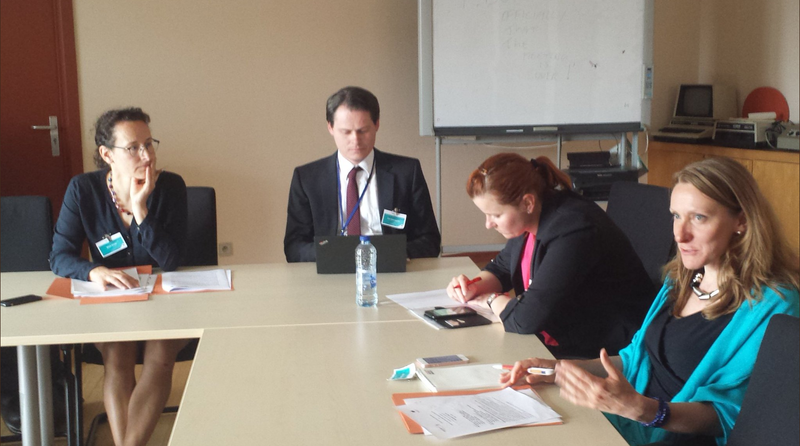 Ms Catrysse highlighted the role of the EIB in providing advices and loans for social and affordable housing projects. She explained that legal certainty in making lending decisions could be improved by Member States by developing clearer eligibility criteria for affordable housing. Ms Catrysse highlighted that EC applies many rules in this area, including SGEI, in a flexible way. Mr Kreuschitz reiterated that the EC recognises a wide appreciation of SGEI. Moreover, Mr Kreuschitz presented situations where direct transfers do not constitute state aid. Eventually, Mr Kreuschitz highlighted that levels of public investment in affordable housing, approximately 2bn Euros in the last 10 years, are negligible compared to all public investments. During the afternoon session, participants had the opportunity to take part in interactive group discussions. 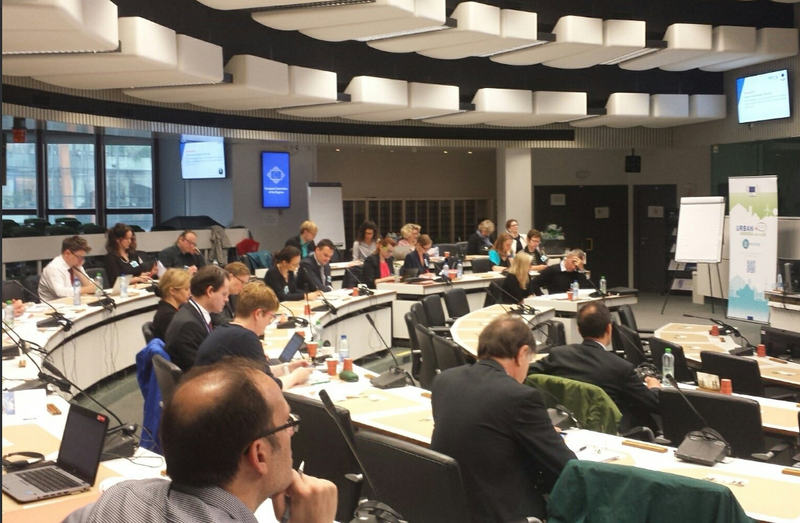 The first workshop examined state aid and affordable housing from the perspective of the European Commission – “in the shoes of Commissioner Vestager” and the second workshop from the perspective of cities – “in the shoes of a Mayor”. Developing more robust data collection on housing need at the local and regional level in order to make the market failure case for state subsidies. The eState aid WIKI is open to a limited number of users only. The reason for that is to avoid the repetition of similar questions. Members of the working groups suggested to open a reading function for all public authorities who are interested in the WIKI System to be able to read all questions and answers in the Systems, this would be very helpful. The need to delete the target group for social housing in the SGEI framework. The need for a broader definition of the target group linked to market failure arguments. The circumstances under which general housing can be supported within the scope of the SGEI framework. Michaela Kauer, Co-coordinator of the Housing Partnership, concluded that the exchange has been fruitful and meaningful, positions and problems became clearer and were mutually understood. The discussion had shown that Housing Partnership has pointed out an important obstacle for public investment in affordable housing with its work on state aid. The opinion of the partnership that a deletion of the narrow target group in the SGEI Decision would help de-block investments had been reinforced through the workshop. The new evidence that had been depicted by the workshop on aspects of capacity building and knowledge will be taken into account in the action plan of the partnership. All documents from the workshop (including the final report) are available here.